Decorative Life: 2-5 plus weeks depending on the landscape environment. 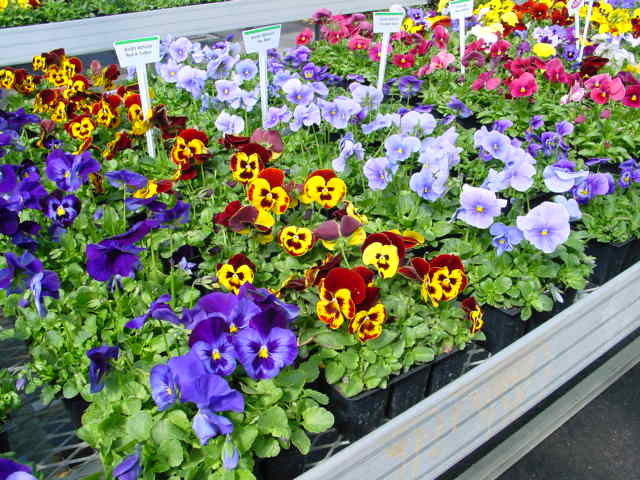 Hybrids among V. tricolor, V. lutea, V. altaica and others. A favorite cultivar includes ‘Delta’ (multiple colors, with and without blotches). The American Academy of Allergy, Asthma and Immunology lists this species as an allergy-safe pollen producing plant.